The SUR-FIT Natura Little Ones Flexible Wafer has smaller dimensions to fit a young child's body comfortably. 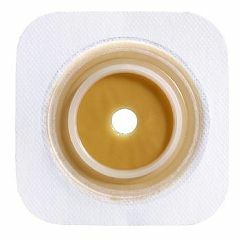 Soft, pliable, adhesive collar applies easily, anchors securely, and dries quickly after bathing. The Skin Barrier offers excellent protection for the skin. The skin barrier/wafer contours nicely to the child's body, allowing flexibility of movement. Child-friendly dimensions provide comfortable fit. Do these Convatec 176592 Little Ones SUR-FIT Natura Flexible Skin Barriers work with Convatec Little Ones 401927 bags.